Welcome to our December IoT roundup! Now that everyone has had their fill of Turkey and stuffing, it’s time to check out what’s happening in the world of IoT, M2M and Industry 4.0. Let’s start with some exciting M2M product news coming from a company called Rock Seven. They have just announced a brand new M2M data communication module that works in conjunction with their existing RockFLEET vessel tracking system. The Rock Seven allows data to be transferred between ship and shore. Furthermore, this data link has the ability to improve maintenance costs and reduce fuel consumption. The data link is facilitated by Iridium’s superb constellation of 64 low earth orbiting satellites. There aren’t any prices available on the device itself but cost for the pay-as-you-go service are as low as 6 cents a credit if you buy a 20,000 credit bundle. Industry 4.0 is steadily transforming our manufacturing landscape and part of that success is in part to the CC-Link IE gigabit communication speeds. CC-Link IE was implemented in 2007 and has remained popular in Asia but recent certifications obtained by CC-LInk IE give it a new, stronger foothold in Europe. A bit of proof that major manufacturers are adopting Industry 4.0 and the positive impact that improved bandwidth has on manufacturing can be read in our latest Industry 4.0 article here. Lastly is a really cool IoT product that caught our eye and of course we want to share it with you. Cicret (pronounced secret) is a company hoping not only to have both their app and bracelet projects funded but also to change the way we interact with our wearables. You see, Cecret looks a lot like something you would buy from Fitbit or Jabra and it has many of the same functions but it has one huge difference, a secret if you will. 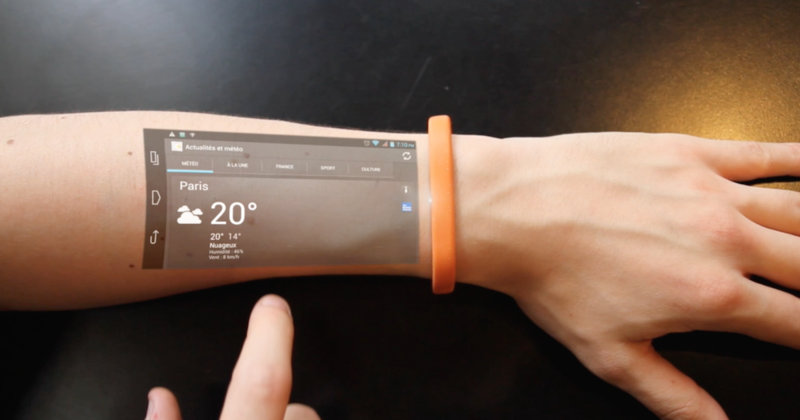 It has a pico projector built in that displays information on your wrist that you can actually touch as if it were an LCD display. Cicret needs a million euros to make both projects happen and you can get in on the action by going to their website and pledging a Euro or more. For more info on the Cicret bracelet, check out their website here.